These days are a bit bipolar when it comes to weather. There have been a couple of rainy afternoons and all I did at home was indulge on a coffee and chocolate and religiously read fashion magazines. I picked some of my favourite looks -most of them were by Givenchy and Elie Saab- to share with you guys. I loved to find out Elie Saab took inspiration from Gaudí for this season. Loyal to his embroidery, there were touches to remind us about the masterworks of the Catalan architect. Shawl-collared brocade coats with gold and colored beads in Gaudí formations, for instance, and mixing rock with royalty, an explosion of different worlds that can be well combined. Evening dresses were stunning, many of them in emerald and gem tones, gray and white (again reminding us of Gaudí) with ruffles. 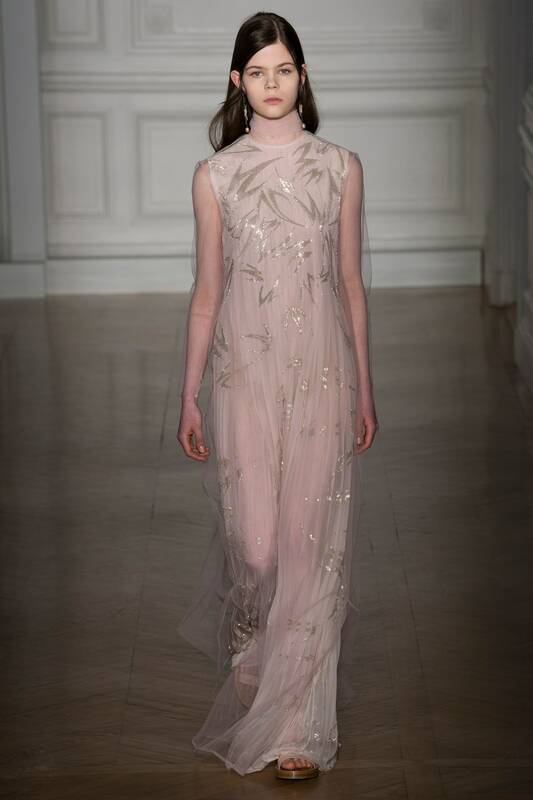 I don't need a Valentine, I need VALENTINO: Valentino Spring 2017 Couture. 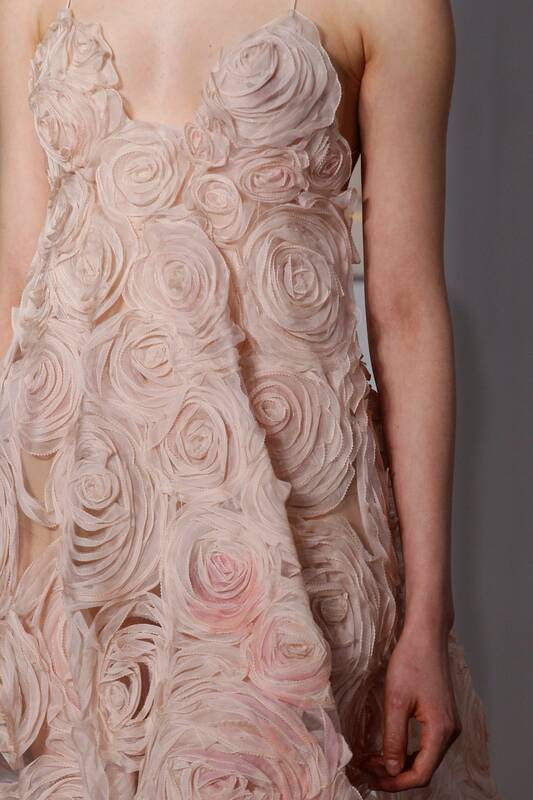 Once again I fell in love with Valentino's works of art. 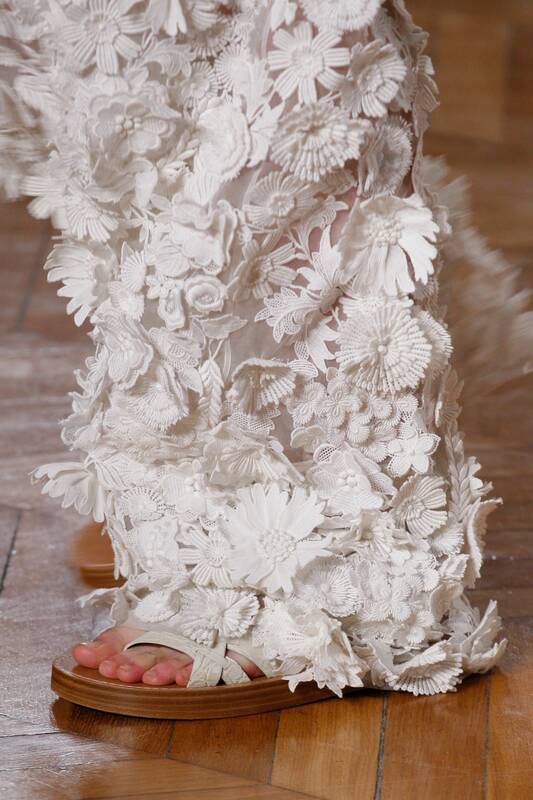 This time Pierpaolo Piccioli has taken some inspiration from the fabulous Greek goddesses and mythology. Haute couture of course is for all of us dreaming some day we could just wear one of those and indeed Piccioli took inspo from dreamscapes. 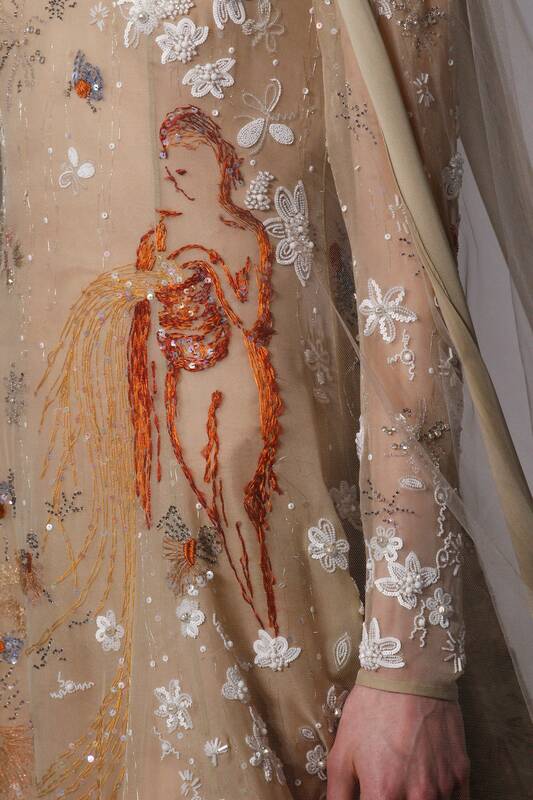 Soft colors and transparency with embroidery make just the perfect mix for a Spring enchanted image.Taking ideas from the dream world, he used myths and legends from our Ancient Mediterranean neighbours depicting pureness and classic architecture in gowns. Who in Earth could resist these? 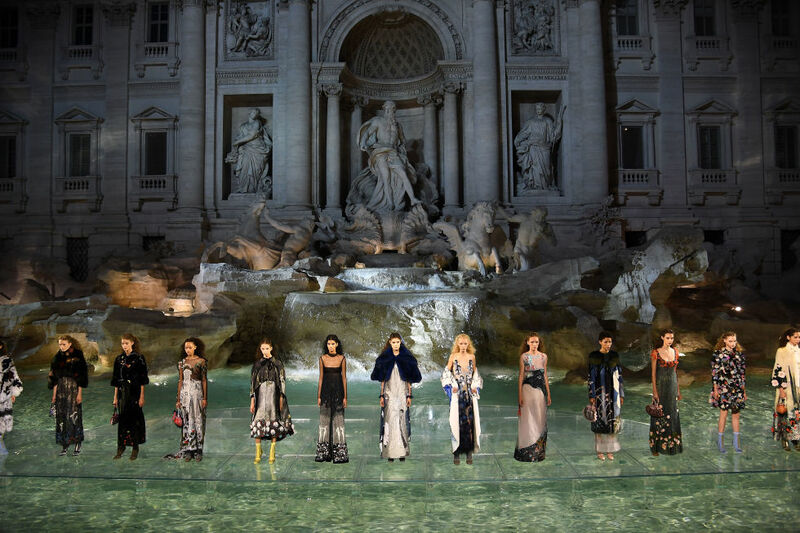 Fendi models walked on the waters of the gorgeous Fontana di Trevi to celebrate the Italian firm's 90th anniversary. The show collection under the name of "Legends and Fairy Tales" was shown on the fountain with a glass platform that allowed the audience seeing they were almost walking on water. The "Haute Fourrure" show was focused on fur obviously, ranging from trims to full.on shawls, dresses and coats. Floral and fairy-related scenarios, the hairstyles played a fairytale role too. 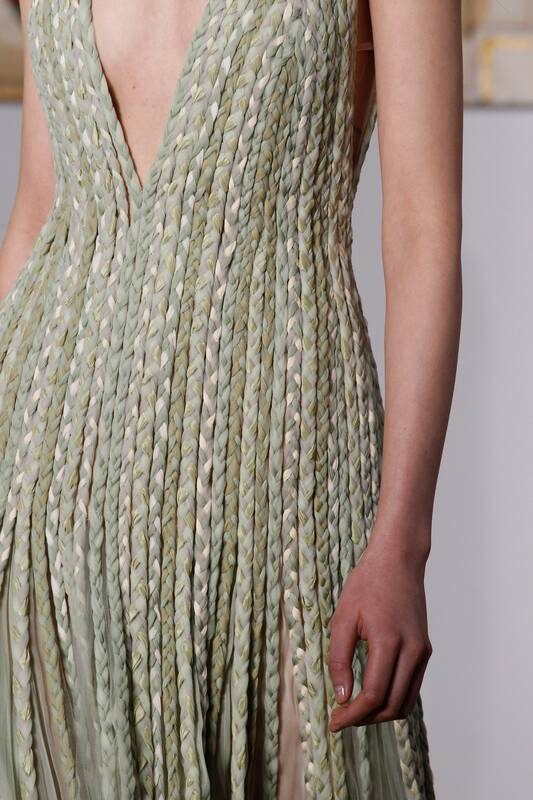 What do you think of the gowns shown by Fendi? And the incredible and charming scenario?